Are you someone that people come to for advice? Teacher. Pastor. Peer Mentor. Work Supervisor. Ever feel overwhelmed with the needs that come your way? Not sure if you should refer to professional counselling or medical help? If you have answered yes to any of these questions you are invited to join us for the Community Leaders Series presented by Jordan Berta and Brenda Drost. They will draw from their collective years of experience on the platform and at the coffee shop having open and honest conversations with people from all walks of life. Brenda Drost has lots on the go as a Pastor, wife and mom to four young adults. She loves walking along side people in their journey of faith and in 2017 she launched an online presence to bring practical Bible teaching and inspiration to the masses. Brenda is an authentic communicator who speaks with passion and conviction out of her own personal experiences. She loves to share the real-life stories of what God has taught her through her own adventures in life and leadership. 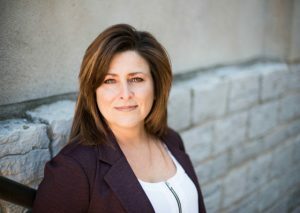 visit BrendaDrost.com for further resources. CLS #6: What is the danger of comparison? Is there a solution? CLS #5: How do Faith and Mental Health connect? CLS #4: How do I look past people’s labels? CLS #3: Something’s off. Am I experiencing Burnout or a Medical condition? CLS #2: How do I approach sharing my struggles in public? CLS #1: How do I know when to involve a Mental Health Professional?